During the development of the replacement D.P. design there were two other reactor fuel projects being developed. 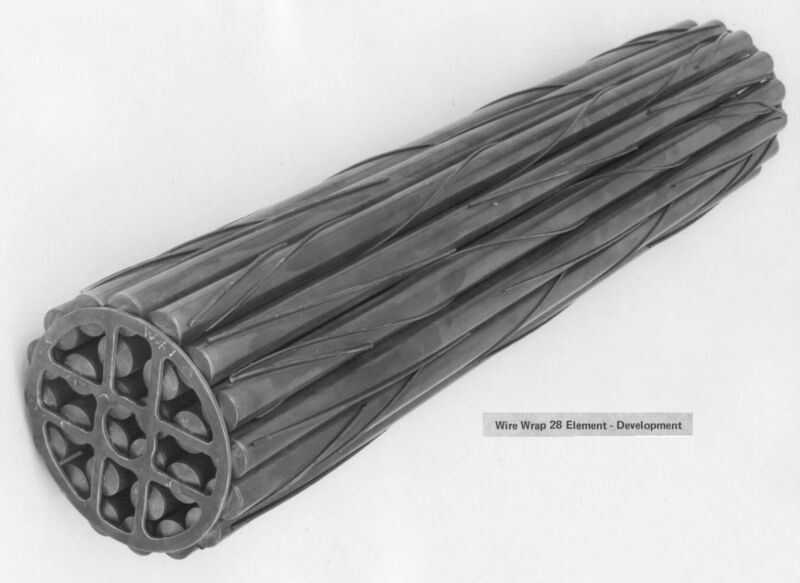 They were fuel bundles for Pickering A and Gentilly - 1 Boiling Light Water (BLW) reactors. Both these reactors were going to use 4 inch diameter pressure tubes vs the 3.25 inch of D.P. & NPD. Keeping the same size of elements as the D.P. 19 and .050 inch spacing between elements, the 28 element Pickering design was developed. CGE still preferred the wire warp rather than the toxic Beryllium braze. This wire wrap design was not favoured.